This app is everything I’ve been looking for. 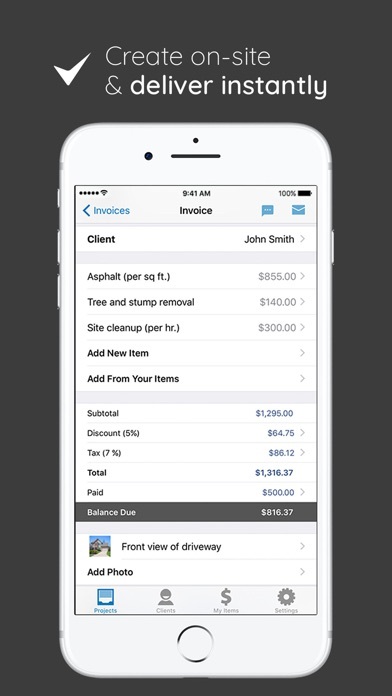 I can write up estimates and invoices. I can print, text, or email them. And I can make a note of it when payments are made. I can also attach pictures. It’s perfect! It’s all in the name. 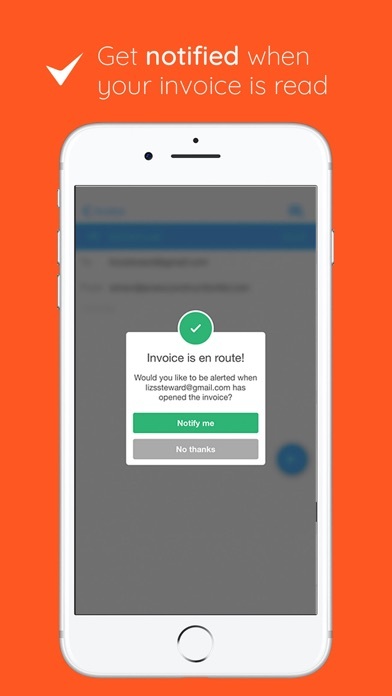 This app makes sending and managing invoices simple. Does what it should and it’s awesome ! This is a mobile must-have if you’re serious about your brand/business! Plain and simple. This app saves a lot of time and headache. I like it. 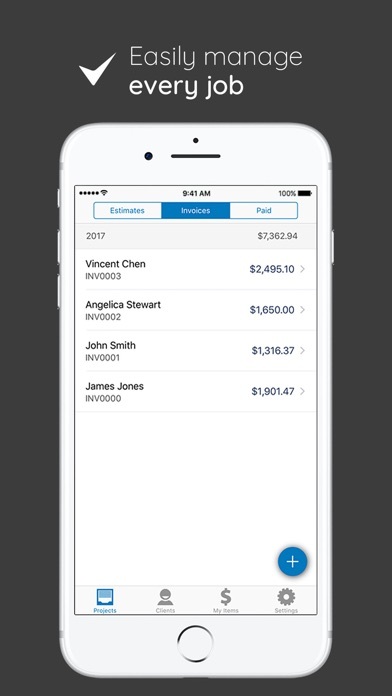 I do all my billing with this app. It’s smooth and simple and quick. No glitches so far at all. 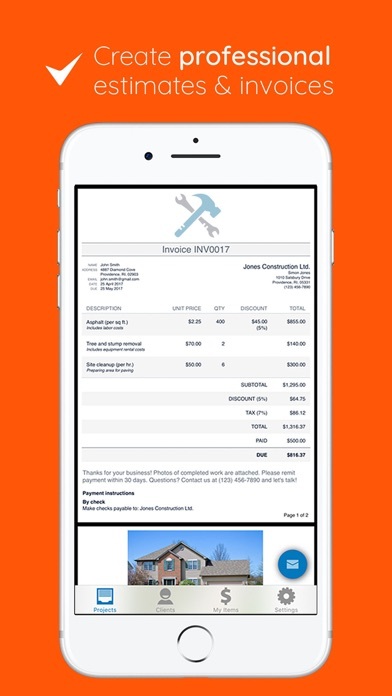 Great for small business owners! 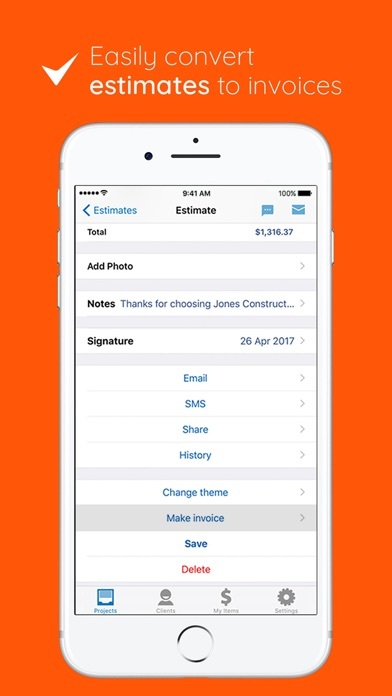 This has made it easy for me to send estimates and invoices!